Special Report: Newly available documents reveal how Ronald Reagan’s neocon aides cleared the way for Israeli arms sales to Iran in 1981, shortly after Iran freed 52 U.S. hostages whose captivity doomed Jimmy Carter’s reelection. The move also planted the seeds of the Iran-Contra scandal, reports Robert Parry. Just six months after Iran freed 52 Americans hostages in 1981, senior Reagan administration officials secretly endorsed third-party weapons sales to Iran, a move to align U.S. policy with Israeli desires to sell arms to the Islamic republic then at war with Iraq, according to documents recently released by the National Archives. This Israeli arms pipeline to Iran already was functioning at the time of the policy shift on July 21, 1981. Three days earlier, on July 18, an Argentine plane strayed off course and crashed (or was shot down) inside the Soviet Union exposing Israel’s secret arms shipments to Iran, which apparently had been going on for months. After the plane went down, Assistant Secretary of State for the Middle East Nicholas Veliotes tried to get to the bottom of the mysterious weapons flight. “According to the [flight] documents,” Veliotes said later in an interview with PBS Frontline, “this was chartered by Israel and it was carrying American military equipment to Iran. The reason that the Israeli weapons shipments violated U.S. law was that no formal notification had been given to Congress about the transshipment of U.S. military equipment as required by the Arms Export Control Act. But the Reagan administration was in a bind about notifying Congress and thus the American people about approving arms shipments to Iran so soon after the hostage crisis. The news would have infuriated many Americans and stoked suspicions that the Republicans had cut a deal with Iran to hold the hostages until Carter was defeated. In checking out the Israeli flight, Veliotes also came to believe that the arrangement between Ronald Reagan’s camp and Israel regarding Iran and weapons dated back to before the 1980 election. In subsequent interviews, Veliotes said he was referring to “new players” who came into government with President Reagan, now known as the neoconservatives, including Robert McFarlane, counselor to Secretary of State Alexander Haig, and Paul Wolfowitz, the State Department’s director of policy planning. According to the newly released documents, McFarlane and Wolfowitz were collaborating with Israel through a clandestine channel. Though this secret conduit between the neocons and Israel may have originated before Election 1980, it continued, with some fits and starts, for years finally merging with what became known as the Iran-Contra Affair of 1985-86. In that scandal, Reagan secretly authorized the sale of U.S. anti-tank and anti-aircraft missiles to Iran through Israel. The documents declassified by National Archives personnel at the Reagan Presidential Library in Simi Valley, California suggest that the Iran-Contra machinations were an outgrowth of these earlier U.S. contacts with Israel regarding arms sales to Iran dating back to 1980-81. 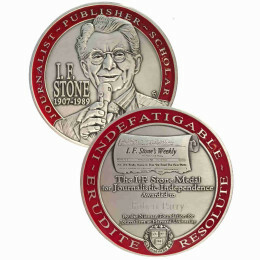 McFarlane’s personal involvement in these activities threaded through the years of these clandestine operations, beginning with pre-election maneuverings with Iran in fall 1980 when its radical government was holding those 52 U.S. hostages and thus dooming President Jimmy Carter’s reelection hopes. After Reagan was elected in 1980, McFarlane popped up at the State Department working hand-in-glove with the Israelis on Iranian arms shipments. He subsequently moved to Reagan’s National Security Council where he played a central role in arranging a new security cooperation agreement with Israel in 1983 and initiating Reagan’s illicit Iran-Contra arms sales through Israel to Iran in 1985-86. When I asked Veliotes on Wednesday about the declassified 1981 documents describing the McFarlane/Wolfowitz activities, he responded by e-mail, saying: “My guess it was triggered by the issue of the provision of U.S.-origin defense items to Iran by Israel, which received a certain amount of publicity around this time [July 1981]. This was contrary to U.S. law. However, on July 13, 1981, when this State Department neocon group pushed a formal plan for allowing third-country weapons shipment to Iran, the idea encountered strong resistance from an Interdepartmental Group (IG), according to a memo from L. Paul Bremer III, who was then the State Department’s executive secretary and considered one of the neocons. Though many Americans were still livid toward Iran for holding 52 American diplomatic personnel hostage for 444 days, Bremer’s memo described a secret tilt toward Iran by the Reagan administration, a strategy which included confirming “to American businessmen that it is in the U.S. interest to take advantage of commercial opportunities in Iran.” But the memo noted an inter-agency disagreement over whether the United States should oppose third-country shipments of non-U.S. weapons to Iran. Because of that disagreement within the IG, the Iran arms issue was bumped to the Senior Interdepartmental Group or SIG, where principals from the agencies met. Yet, before the SIG convened, the Israeli-chartered plane crashed inside the Soviet Union revealing the existence of the already-functioning secret arms pipeline. But that incident was downplayed by the State Department in its press guidance and received little attention from the U.S. news media, which still accepted the conventional wisdom depicting President Reagan as a forceful leader who was standing up to the Iranians, surely not rewarding them with arms shipments and business deals. When the SIG met on July 21, 1981, the State Department’s view, giving Israel a green light on arms shipments to Iran, prevailed. The SIG reflecting the opinions of such top officials as Vice President George H.W. Bush, CIA Director William J. Casey, Defense Secretary Caspar Weinberger and Secretary of State Alexander Haig sided with State’s neocons. Though the SIG decision paper was not among the documents released to me by the archivists at the Reagan library, the policy shift was referenced in a Sept. 23, 1981, memo from Bremer to National Security Advisor Richard V. Allen. Bremer’s memo was reacting to a Sept. 3 complaint from the Joint Chiefs of Staff who wanted their dissent to the relaxed Iran arms policy noted. In attaching a copy of the JCS dissent, Bremer revealed the outlines of the Iran policy shift. Lt. Gen. Paul F. Gorman noted in the dissent that “the moderate Arab states of Saudi Arabia, Egypt, Jordan, Kuwait, Oman, and the United Arab Emirates are committed to a policy opposing arms transfers to Iran. “If the United States drops its opposition to the transfer of arms not of US origin to Iran by third countries, the moderate Arabs would interpret that action as directly counter to their interests. The impact would be especially serious if Israel increased its arms deliveries to Iran in the wake of a US policy change. “The Arab perspective tends to automatically link Israeli actions and US policy. The Iraqi Government recently informed the Chief of the US Interest Section in Baghdad that Iraq considers the United States ultimately responsible for arms already transferred to Iran by Israel since, in Iraq’s view, those transfers were possible only because US arms supplies to Israel are more than actually needed for Israel’s defense. The JCS also disputed Iran’s need for more weapons, saying: “Implicit in the argument for arms transfers to Iran is the idea that Iran needs arms to resist further Iraqi incursions. The Joint Chiefs of Staff believe, however, that the military capability of Iran is sufficient to meet the current Iraqi threat. Iraq has long called for negotiations to end the war [which began in September 1980] and on several occasions has announced its willingness to accept a ceasefire. But the policy shift did amount to an acceptance of Israeli shipments of at least non-U.S.-origin weapons to Iran. Israeli and U.S. government sources involved in the operations have told me that those shipments continued unabated for years, totaling in the tens of billions of dollars, with some of the profits going to fund Jewish settlements in the Palestinian territories. The JCS warnings proved prescient regarding the geopolitical impact of the Israeli arms flow to Iran. Through the latter half of 1981, Iraqi officials complained bitterly about what they viewed as U.S. complicity in Israel’s arms shipments to Iran and about Iran’s resulting capability to sustain its war effort. State Department officials responded to these complaints by dancing around what they knew to be true, i.e. that Israel had shipped U.S.-origin and third-country weapons to Iran with U.S. knowledge and, to some degree, U.S. approval. By late summer 1981, the McFarlane-Wolfowitz tandem was making a bid to secure secret control over U.S. policy toward Iran. In a memo to Secretary Haig on Sept. 1, 1981, McFarlane and Wolfowitz urged Haig to put McFarlane in charge of that policy. “What we do recommend is that you give Bud (McFarlane) a charter to develop policy on these issues, both within the Department and interagency, on an urgent basis,” the memo said. Later in the year, McFarlane and Wolfowitz saw a new opening to bind U.S. policies on Iran more closely to the interests of Israel. In a Dec. 8, 1981, memo, McFarlane told Wolfowitz about a planned meeting he was to have with Israeli foreign policy and intelligence official David Kimche on Dec. 20. “At this meeting I would like to introduce two new topics to our agenda and for this purpose would appreciate your providing the necessary analysis and talking points,” McFarlane wrote to Wolfowitz. One of those topics was Iran, according to the document. However, the second item still remains blacked out for national security reasons. Wolfowitz also suggested that McFarlane enlist Israel in efforts to draw Turkey into the Iran strategies. “I would be grateful for ideas on how Turkish cooperation could be effectively used,” the talking points stated. “We should consider first whether we can set in motion any methods of influencing internal developments in Iran. Since none of the existing exile movements have major support within Iran, we have to look primarily at other internal means for the present. In other words, McFarlane and Wolfowitz were looking to the Israelis as key partners in devising strategies for affecting the internal behavior of the Iranian government. And the Israelis’ principal currency for obtaining that influence was the shipment of weapons. McFarlane and Wolfowitz also planned to collaborate secretly with Israel in devising broader U.S. policies toward the Middle East and intended to hide those policies from other U.S. government officials. In his 1994 memoir, Special Trust, McFarlane described the broad sweep of issues raised in his meetings with Kimche, who had served as a senior Mossad official but in 1981 was director-general of the Israeli Foreign Ministry. In 1982, Reagan moved McFarlane to the White House as Deputy National Security Advisor, giving him responsibility for integrating the administration’s foreign policies. But Wolfowitz’s Policy Planning office came under the control of more seasoned leadership, Undersecretary of State for Political Affairs Lawrence Eagleburger. Instead, U.S. policy on the Iran-Iraq War would begin to move in the opposite direction as President Reagan grew worried that Iran was gaining the upper hand in the war and might actually defeat Iraq. To prevent that possibility, Reagan authorized a “tilt” toward Iraq in June 1982, according to a sworn affidavit filed in a 1995 criminal case by a Reagan NSC aide, Howard Teicher. Teicher described a highly classified National Security Decision Directive that called for providing intelligence assistance to Iraq and directing the CIA to help Saddam Hussein’s army secure third-country military supplies, a project that fell largely to CIA Director William Casey and his deputy, Robert Gates. Though the tilt toward Iraq represented a blow to the neocons, who shared the Israeli position of viewing Iraq as the greater of Israel’s two enemies, the Reagan administration’s favoritism toward Iraq didn’t put an end to the McFarlane-Wolfowitz initiatives. The Israelis also never stopped scouring the world for weapons to sell to Iran. 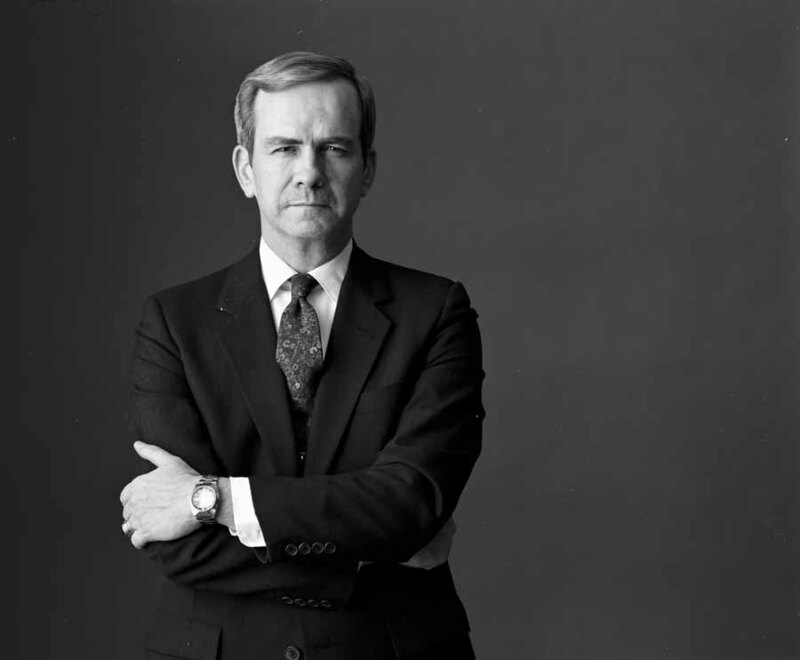 When McFarlane was promoted to become Reagan’s third National Security Advisor in October 1983, he was in even a stronger position to push the Israel-favored position regarding openings toward Iran. McFarlane finally succeeded in persuading Reagan to sign on to the strategic cooperation agreement that he had hammered out with Kimche. “I was able to get the President to approve it in writing and to get it translated into a formal memorandum of understanding between the Pentagon and the Israeli defense ministry, which would form a joint political-military group to serve as the instrument for developing a broader agenda of cooperation,” McFarlane wrote in his memoir [p. 187]. In a now-declassified top-secret cable dated Dec. 20, 1983, McFarlane responded to a complaint from U.S. Ambassador to Great Britain Charles H. Price, who believed that the agreement was a last-minute scheme to “give the store” to Israel. McFarlane insisted the strategic arrangement was the culmination of a thorough review process. McFarlane described the U.S.-Israeli security agreement as encouraging cooperation with third countries, “with special reference to Turkey,” as well as setting aside resolution of the Arab-Israeli conflict in favor of pursuing other strategic collaboration with Israel. The stage was set for the next phase of this tighter U.S.-Israeli collaboration, the Iran-Contra Affair. Again, McFarlane’s Israeli friend, David Kimche, was a chief collaborator. As McFarlane describes the Iran-Contra origins in Special Trust, Kimche visited him at the White House on July 3, 1985, to ask whether a National Security Council consultant (and neocon activist) Michael Ledeen was speaking for the administration when he approached Israeli officials with questions about internal Iranian divisions. Soon, McFarlane found himself at the center of a new round of secret arms sales to Iran via Israel, although these were authorized directly by President Reagan in what became an arms-for-hostage swap with a geopolitical veneer. Even after stepping down as National Security Advisor in December 1985, McFarlane continued to participate in these Iranian arms sales, as the operation also evolved into a scheme for enriching some of the participants and generating profits that were diverted to the Nicaraguan Contra rebels, a U.S. proxy force fighting to overthrow the leftist Sandinista government in that Central American country. According to one of the declassified documents, the Reagan administration’s expectation of Israeli cooperation in such paramilitary operations extended to a request from NSC aide Oliver North to Israeli Defense Minister Yitzhak Rabin to supply hundreds of AK-47s to the Contras in September 1986. “North told Rabin that the United States was out of funds to support the Contras,” according to a secret cable from U.S. Ambassador to Israel Thomas Pickering. “North said he was aware of the fact that Israel had in its possession some 400-600 AK-47 rifles which he, North, would like to see provided to the Contras. Rabin asked if North was thinking of a gift and North replied that he was. “Later, it was decided in the affirmative and the weapons were made available for shipment. Rabin insisted, however, that he would only provide the weapons to the United States, not directly to any other recipient. What the United States then did with the weapons was its own business. In November 1986, the convoluted Iran-Contra scandal exploded into public view, forcing the dismissal of North and National Security Advisor John Poindexter and prompting both criminal and congressional investigations. Embarrassed by the catastrophe that he helped create, McFarlane attempted suicide by taking an overdose of valium on Feb. 9, 1987, but survived. In 1988, McFarlane pleaded guilty to four misdemeanor counts of concealing information from Congress, but he was pardoned along with five other Iran-Contra defendants on Christmas Eve 1992 by President George H.W. Bush, who himself had come under investigation for his role in the secret operations and the cover-up. The long-term consequences of the Reagan administration’s secret dealing with Israel, Iran and Iraq have resonated to the present day. With both Iran and Iraq bolstered by outside arms deliveries, the Iran-Iraq War continued until 1988 with a death toll estimated at about one million. Over the next several years, the alliance of convenience between Israel and Iran began to sour with the two countries drifting toward becoming the bitter enemies that they are today. To carry out the assault on Iraqi forces in 1991, Bush arranged for the United States to secure military bases in Saudi Arabia, a move that infuriated Saudi jihadist Osama bin Laden. Though bin Laden had sided with the United States in the war to drive Soviet troops from Afghanistan in the 1980s, bin Laden soon became a sworn enemy of the Americans. Further, the high-tech capabilities of the modern U.S. military, as displayed in the Persian Gulf War, were so extraordinary that the neocons came to believe that the new weapons systems had qualitatively changed the nature of warfare, enabling the United States to dictate policies across a “uni-polar world” by force or the threat of force. When Wolfowitz and other neocons returned to power in 2001 under President George W. Bush, they were convinced that they could remake the Middle East through a strategy of “regime change,” starting with a grudge match against Saddam Hussein and then moving on to Iran and Syria. The overriding goal was to create a new reality that would let Israel set its territorial boundaries with little regard for the Palestinians or other Arab neighbors. This grand opportunity presented itself after bin Laden’s al-Qaeda terrorists struck at New York and Washington on Sept. 11, 2001. Though the fact that al-Qaeda was based in Afghanistan forced Bush to first attack that country, he quickly followed the neocon advice and pivoted toward Iraq and Saddam Hussein. The neocons helped Bush concoct a case against Iraq, claiming that it was hiding stockpiles of WMD and was collaborating with al-Qaeda. Neither point was true, but the aggressive propaganda campaign rallied Congress and the American people behind the invasion of Iraq, which Bush announced on March 19, 2003. The U.S.-led invasion force toppled Saddam Hussein’s government in three weeks but the neocon-organized occupation under Paul Bremer proved to be a disaster. An insurgency ensued and the country became virtually ungovernable. Nearly 4,500 American soldiers died along with hundreds of thousands of Iraqis. The total cost to the U.S. Treasury is estimated at about $1 trillion and the United States ended up with little to show for the war after U.S. troops were compelled to withdraw at the end of 2011. Today, despite the Iraq disaster, the neocons continue to press for another military conflict with Iran over its nuclear program, although Iran denies that it has any interest in building a nuclear bomb. Still, the Israeli government, which has a secret nuclear arsenal of its own, has repeatedly threatened to launch a preemptive strike against Iran but has been restrained by President Barack Obama, at least so far. Though these geopolitical relationships involving the United States, Israel, Iraq and Iran have experienced many twists and turns over the past three-plus decades, some of the origins for this torturous journey can be found in the records of the early Reagan administration. Much of that history remains classified, but bits and pieces are slowly coming to light revealing how a group of arrogant intellectuals the neocons set the United States and the Middle East on a path toward disaster. 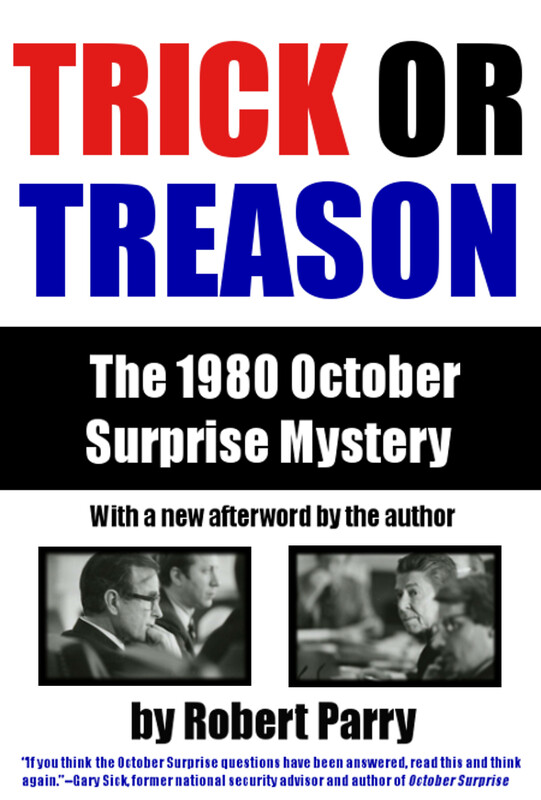 A history of Republican treason. Nixon sabotaged peace talks with North Vietnam to aid his campaign for election. Yes indeed Democrats seem to forget that the “golden boy” of the Democrat Party, the ultra neocon Zionist Israeli-American Rahm Emanuel was the chief power-broker of the Democrat Party. Rahm Emmanuel relentlessly supported the Iraq War using his position on the Democratic Congressional Campaign Committee to recruit and fund pro war candidates with campaign money while starving and running against anti war candidates. Hillary, I agree with you about Rahm Emanuel. I was never so glad to see someone leave the administration when he did. Emanuel did plenty of damage to progressives while he was in the Obama administration. @Kevin above: Why not say it started with LBJ’s refusal to have Nixon arrested for treasonous violation of the Logan Act for his back channel dealings through Mdme. Chennault with the South Vietnamese blocking peace talks? Even though LBJ was not known as a weak pResident. Just a rhetorical question, as I do agree that Democrats aided and abetted the Neo-Con projects. The Neocons couldn’t have done any of this without the help of the Democrats. And it all started when Carter refused to have Reagan arrested for negotiating with the Iranians behind his back, which was treason. This is the real reason why Carter will always be known for being a weak pResident. I have not read that President Carter knew what Reagan and the neocons were doing in secret before the election. Have you? If so, where? Reagan and his buddies broke the law. If Carter didnâ€™t know about it while he was president what could he do about it? Stupidity was rampant during the Reagan-Bush-years. Arms for hostages was breaking a law passed by Congress, the Boland amendment under Reagan. Senator Inouye made Ollie North look like a fool in North’s bemedaled military outfit for actually breaking the law he had sworn to uphold. Bush 1 aided Saddam during the Iran-Iraq war to keep Iran’s power balanced. Bush and Cheney upset that balance by a preemptive attack on Iraq. Iraq, which had nought to do with 9/11. Saddam was Al Quaeda’s worst enemy. Iraq, which had no nuclear weapons “within a year” Nor did Bush-Cheney-Rums and Wolfnowitz have “irrefutable proof of Iraq’s wmds”. And the most ridiculous statement made by Powell before the UN. Iraq has wmd mobile labs running the pot-holed roads of Iraq. What scientist would be stupid enough to be riding around with vials of wmds, given the potholes or possibility of a vehicle accident? I have not read that President Carter knew what Reagan and the neocons were doing in secret before the election. Have you? If so, where? Reagan and his buddies broke the law. If Carter didn’t know about it while he was president what could he do about it? I know of that, but it is great to have it shouted out more often. But, hw far back do you want to go. Fact is, “Iran” started to be a problem because of the British empire, and continued because of our own CIA interference, in order to secure oil. We made Khomeni, we (the west) have tried in our ham handed, shirt sighted, way to manipulate all those lands. We supported terrible dictators, and brought down democratic and elected government t’s, because of empire. Thank you for continuing to expose the treachery and crimes committed by the Reagan/Bush administration. I look forward to the day when this country is so disgusted with him that the airport in Washington DC is renamed to its original name, and the Reagan library in Simi Valley becomes a land fill. That’s the way things ought to be. Why? God didn’t write the article. 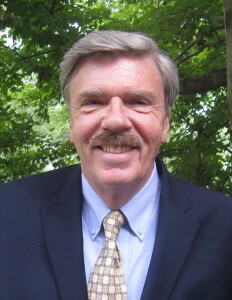 Robert Parry did, so praise him. Another great article. Thanks, Bob.